“Richly lyrical and thought-provoking” (Publishers Weekly, starred review), this “stellar debut from a novelist to watch” (Geraldine Brooks, Pulitzer Prize winning author) explores the passionate marriage of Harry Houdini and his wife, Bess—a love story that defied death itself. Before escape artist Harry Houdini died, he vowed he would find a way to speak to his beloved wife, Bess, from beyond the grave using a coded message known only to the two of them. But when a widowed Bess begins seeing this code in seemingly impossible places, it becomes clear that Harry has an urgent message to convey. Unlocking the puzzle will set Bess on a course back through the pair’s extraordinary romance, which swept the illusionist and his bride from the beaches of Coney Island, to the palaces of Budapest, to the back lots of Hollywood. When the mystery finally leads Bess to the doorstep of a mysterious young photographer, she realizes that her husband’s magic may have been more than just illusion. In surprising turns that weave through the uncertain days of the dawn of the twentieth century and continue into the dazzling 1920s, Mrs. Houdini is a “dazzling and enchanting” (Shelf Awareness, starred review) tale, “a marvel that gallops through time and space” (Associated Press), and a “mesmerizing reimagining” (People) of one of history’s greatest love stories. This reading group guide for Mrs. Houdini includes an introduction, discussion questions, and ideas for enhancing your book club. The suggested questions are intended to help your reading group find new and interesting angles and topics for your discussion. We hope that these ideas will enrich your conversation and increase your enjoyment of the book. Love transcends time and space in Victoria Kelly’s thrilling debut. Before Harry Houdini dies, he promises his beloved wife that he will speak to her from beyond the grave through messages in a code only known to the two of them. Once widowed, Bess Houdini begins to discover the hidden codes in the most impossible places, leading her on a journey to reconnect with her late husband. From the dawn of the twentieth century through the Roaring 1920s, Victoria Kelly’s novel presents a dazzling tale of history’s most thrilling romance. In Mrs. Houdini, Harry performs his most marvelous act of all: convincing readers to trust in the unknown and ultimately to believe in magic. 1. Harry proposes to Bess the night that he meets her. What about Bess instantly captures his heart? Why do you think she accepts his proposal? How would you react if you were Bess? 2. Harry was a great believer in transformation: “It was a fact of human nature . . . that people wished to become something else. They wanted to travel to that mysterious in-between place that lives only in magic, which ordinary men and women cannot reach.” How does Harry use this knowledge in both his escape acts and his personal life? 3. Mrs. Houdini contains two hidden codes. Describe their figurative and symbolic significance to Harry and Bess’s relationship. 4. According to Bess, Harry’s fascination with celebrity “was a result of his having achieved a little fame, but not enough to secure their future.” How does this obsession manifest itself on the stage versus in his personal life? Which is more revealing—Harry’s desire for fame or Bess’s ideas about what drove him? 5. To Bess, Harry was “very much like a boy himself, a kind of Peter Pan, if you will, who never grew up.” Why do you think Bess makes this comparison? Do you agree with her? 6. 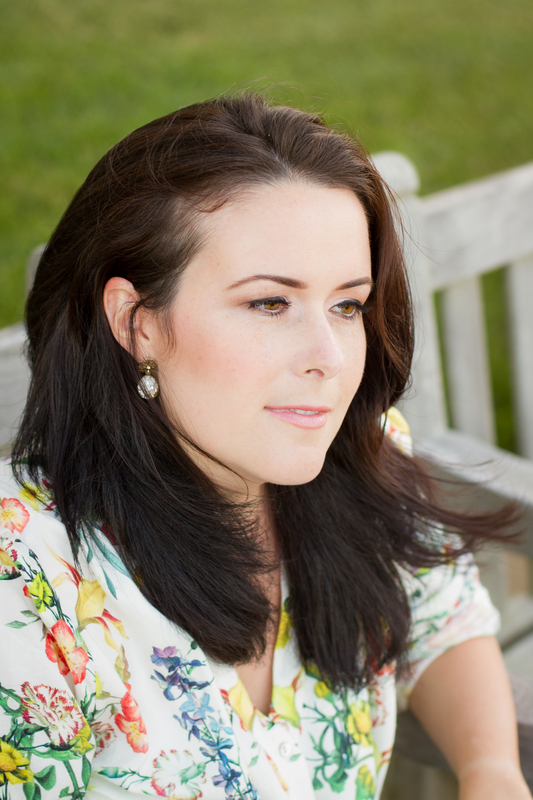 Bess’s infertility causes her much grief on a personal and even religious level. In what ways does her inability to conceive—and the knowledge that she is the one at fault—affect Bess as a wife? As a woman? Although the novel is told from Bess’s point of view, do you think Harry truly understood his wife’s despair? 7. Bess often feels that Harry favors his mother more than her, even wondering “if Harry felt toward her the same fierce love and sense of duty he felt toward his mother.” Where do you think Harry’s loyalties ultimately lay? Contrast how Bess and Harry are affected by his mother’s death. 8. The Houdinis initially perform séances, billing themselves as the “Celebrated Clairvoyants,” but Bess eventually fears their act is immoral, realizing she “had spit in the face of the God she’d been taught to worship.” How are séances a source of religious conflict? Why is Bess haunted by her participation in them? How does her relationship with religion compare to her husband’s? What role do séances play in the Houdinis’ later life? 9. Harry attempts to find Charles throughout his life, even hiring a private investigator. If Harry had found Charles, how Harry’s life have changed? Do you think Bess would be supportive or devastated? 10. Bess feels a deep obligation to communicate with her husband ever since he told her on his deathbed “I’ll come back for you. Promise you’ll look for me. Don’t give up. I won’t be able to rest until I reach you.” Do you agree with Bess’s decisions to honor her husband’s request? In what ways does this devotion harm her life, and it what ways is it necessary for her in order to survive? 11. How would you characterize Bess and Harry’s relationship? Although they are very much a team on- and offstage, their marriage is still afflicted with secrets, doubts, and even betrayal. Do you consider it normal for such things to exist in any long-standing relationship? How do you explain Bess and Harry’s passion despite their struggles? Does it remind you of any other larger-than-life romances in literature or history? 12. How do you interpret Harry’s fascination with death? What is he trying to prove? Is our world permeable? 13. Victoria Kelly did extensive research on the Houdinis and the time in which they lived. How much did you learn about Harry and Bess from reading the book? How has your reading of Mrs. Houdini affected your ideas about Harry the man and Harry the magician? How about Bess? 1. Mrs. Houdini follows Bess and Harry through much of the 1920s. For your next book club meeting, throw a Roaring Twenties–themed party. Try reading F. Scott Fitzgerald’s The Great Gatsby, Paula McLain’s The Paris Wife, or Carl Van Vechten’s Firecrackers to help set the mood. 2. Choose a historical woman married to a famous man and write a one-page version of his story history from her perspective. 3. Read one of Harry Houdini’s many published works, such as The Right Way to Do Wrong: A Unique Selection of Writings by History’s Greatest Escape Artist; A Magician Among the Spirits; or Miracle Mongers and Their Methods: A Complete Exposé. What did you learn about Harry’s life and career? Do you think Victoria Kelly captured the spirit of Harry Houdini in her novel? Discuss your findings with the group. 4. In 2014, the History Channel aired a two-part miniseries Houdini, starring Adrien Brody. Watch one or both of these episodes with your book group and compare and contrast the representation of Bess and Harry onscreen and on the page. "A splendid debut novel...Moving effortlessly beyond mere fictionalized biography, Kelly delivers a richly lyrical and thought-provoking novel with closing twists that feel as impossible, inevitable, and satisfying--as magical, in short--as one of Houdini's own illusions." "A grand story of secrets, codes and magic befitting one of history's greatest illusionists and the love of his life...Kelly animates the love story of this historic couple with a smooth blending of research and artistry...Dazzling and enchanting, Mrs. Houdini will captivate readers in a fashion that would make Harry and Bess proud." "Victoria Kelly brings immense imaginative empathy to bear on the fascinating story of the woman who stood beside Harry Houdini, on stage, in life, and after his early death. Resonant, haunting and deeply felt, this is a stellar debut from a novelist to watch." "Kelly confidently peels back layers of Bess, revealing a fiercely intelligent and independent woman trying to heal spiritual, emotional, and metaphysical wounds. Had the man who made an elephant disappear before hundreds of people pulled a similar trick on her and with her heart no less? Or, is love the deepest mystery and biggest illusion of them all?" 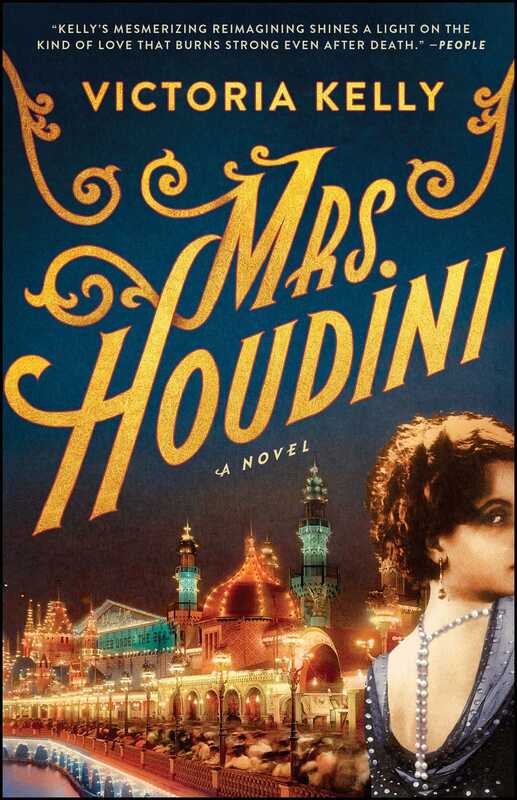 "Mrs. Houdini is a delightful read, and will resonate with anyone who's ever been struck by the illogical but nonetheless compelling notion that a lost beloved may yet reappear, despite all rational evidence to the contrary. The book answers that great "What if?" and does so in an eminently pleasurable way." "For anyone intrigued by magic and illusion, and Harry Houdini in particular, Kelly's fictional biography of Bess Houdini will fascinate...The well-crafted characters and the mystery behind Houdini's vow to communicate with Bess after death propel the plot forward, captivating readers." "Mrs. Houdini is, in its way, a ghost story, and like every good ghost story, it comes with an ending that will make you shiver. But it's not a shiver of fear that Kelly's fine debut provokes, though there's morethan a hint of the uncanny in its pages. It's the shiver one gets from an excellent story skillfully told, with characters whose fates are fully and sympathetically realized." "Bess Houdini was swept into history by an impulsive and passionate love, and then left bereft when her world-renowned husband died too soon. And that is where we find her at the beginning of the novel. Kelly has drawn Bess with such charm and moxie that I felt myself pulled into the pages, racing alongside her to uncover the clues Harry left behind, then stunned and weeping when she discovers the future he imagined for her."